Try to estimate the passage of time by selecting a time interval, clicking the Start button, and clicking Stop when you think the interval has passed. The estimate and percent error are recorded. 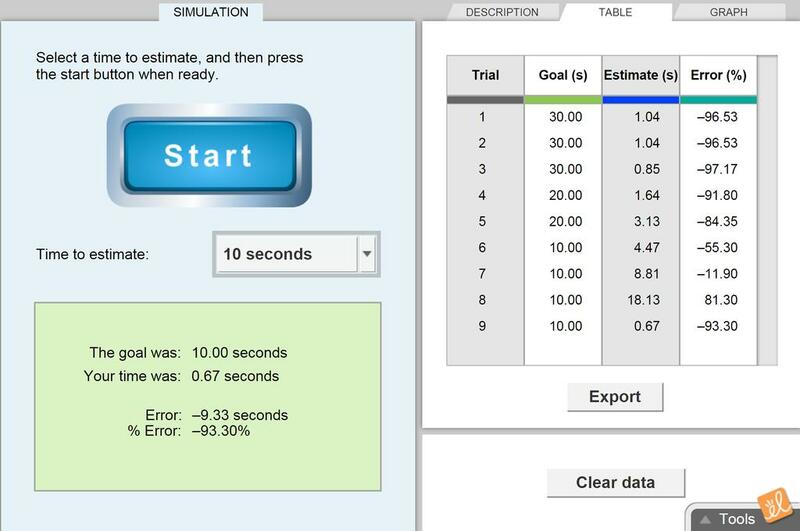 Compare different techniques for estimating time, as well as the average error for long time intervals versus shorter intervals.